SIDDHARTH AND ANDREA’S TAMIL FILM GETS ITS TITLE AND RELEASE DATE! We had reported earlier that actors Siddharth and Andrea Jeremiah’s trilingual horror film directed by Milind Rau is all set to get its updates one after another. 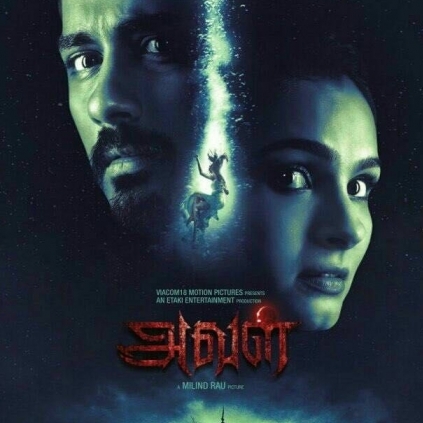 Following the Tweets by both the actors, the news is out that the film will be titled ‘Aval’ in Tamil, ‘Gruham’ in Telugu and ‘The House Next Door’ in Hindi. The film which is said to have Siddharth playing a neurologist is all set to release on November 3, 2017. It also has Atul Kulkarni in an important role and is said to have been completely shot in a hill station. Regarding the teaser, Siddharth posted that the teaser will be launched through a popular sports channel today(October 3, 2017) at 7:30 pm. We were among the first to inform you that actor Siddharth would be teaming up with Andrea for a film title The House Next Door. After keeping the news to themselves, the makers have finally decided to reveal the official title and release plan. Siddharth's latest tweet reads, "My next Hindi film is ready. Here we go! #TheHouseNextDoor | THIS NOVEMBER." So this horror trilingual film will be releasing coming November. People looking for online information on Andrea Jeremiah, Milind Rau, Siddharth, Siddhath will find this news story useful.